I was on a plane from Nashville to LA when social media exploded with the news that Donald Trump would more than likely be the next republican nominee. After months of sneering dismissals and expensive but impotent attacks from Republicans fearful of his candidacy, Mr. Trump is now positioned to clinch the required number of delegates for the nomination by the last day of voting on June 7. Facing only a feeble challenge from Gov. John Kasich of Ohio, Mr. Trump is all but certain to roll into the Republican convention in July with the party establishment’s official but uneasy embrace. Most of us believed it couldn’t. So now that it is happening, it has me sitting here thinking about strong, dishonest, powerful, narcissistic, controlling, manipulative, and totally dangerous leaders and how they so often gain a following. Why are we attracted to them? I’m of course not only talking about Trump here. I’m thinking about every fill-in-the-blank narcissistic leader in mainstream media or in our personal lives who has ever drawn us in with charisma and big promises and then let us down when we realize he wasn’t who he said he was. Until we’ve learned this the hard way (and sometimes even after) it’s easy to be fooled by these big personalities. It happens to even the most well-intentioned of us. In fact, there’s a considerable amount of evidence showing you’re more likely to be duped by a narcissistic leader if you are kind, compassionate, empathetic, selfless and just generally well-meaning person. Here’s what makes it so easy to get sucked into their whirlwind. Some of the tell-tale signs of a narcissists include that they are charming, smart, intuitive, believable and great storytellers. This means that before we can even wonder if a narcissist is who he has presented himself to be, he’s already swept us off of our feet into the sweet little fantasy he is spinning for himself. Narcissists are masterful impression managers. Thanks largely to their intense self-obsession and self-adulation, narcissists excel at managing initial impressions… furthermore, narcissists’ desire to make a great initial impression enables them to disguise their arrogance as confidence…. unsurprisingly, narcissists perform well on interviews and they are excellent social networkers. Narcissists get by on charm. Some people reading will think, “uh… Trump isn’t that charming,” but remember: Trump isn’t that charming to you. He is charming to exactly who he means to be charming to. This, by the way, is another quality of a true narcissist. They know their audience and are unflinchingly committed to playing their role to that audience—a role that is about achieving the desired end of power and control. Think of your best friend’s boyfriend who you think is a total dirt bag but who she thinks couldn’t possibly be more amazing. That’s because you aren’t his audience. She is. And unless he believes that winning your approval will somehow help him to gain the control and power he wants over her, he won’t try. In fact, he will probably find a way to isolate her from you, because when you resist a narcissist, or choose not to play into his drama, he will disown you. You are no longer useful to him. My friend Donald Miller teaches business owners how to tell a clearer story with their brands by getting ruthless about cutting anything that doesn’t matter. This is a concept I teach writers in my workshops, too: that decent writers know what to say, but brilliant writers know what NOT to say. The clearer a story is, the more people are going to be able to understand it and reiterate it and the greater power and following it gains. Narcissistic leaders know this and use it to their advantage. They’re incredibly good at controlling the story. Skillful narcissists can be some of the greatest storytellers. The narcissist can weave a complex story and mesmerize you with amazing statistics, trivia, quotes, history of events, to the point that you could feel overwhelmed. Naturally, they would be the center of those stories, often re-writing history. Obviously not everyone who is clear and controls their story is a narcissistic leader. But every narcissistic leader I’ve ever known has been impeccable at staying clear and controlling the story. In fact, most of the time they have little concern for whether or not the story they are telling is actually true—as long as it is clear and controlled. Sometimes these leaders tell stories that don’t even make any sense, but they repeat them over and over again to us—enough times that we actually begin to believe them. They capitalize on the power of group think. Narcissists use their charm to win friends and gather groups of people around them who support their cause and play the role the narcissist asks of them. This not only strokes the narcissist’s tender ego, it also helps them validate the stories they are pitching about themselves to the world. [Narcissists] are clever chameleons who are also people-pleasers, morphing into whatever personality suits them in situations with different types of people. It is no surprise, then, that the narcissist begins a smear campaign against you not too long after the discard phase, in order to paint you as the unstable one, and that this is usually successful with the narcissist’s support network which also tends to consist of other narcissists, people-pleasers, empaths, as well as people who are easily charmed. This is one of the hardest parts about dealing with a narcissist, since there are always a good number of people who like them, even love them, and who feel threatened anytime you suggest this person might not be who he or she says he is. Should you ever get the courage or self-confidence to defy a narcissist for any reason, they will use their gift of storytelling to spin the story (see above) to make you seem like the crazy one. They will continue to build their empire, even if you aren’t in it. True narcissists employ a very specific and intentional three-part cycle to get you roped into the story they’re weaving without a way out. The cycle has three parts. If that doesn’t work to secure your loyalty to him—or if you cause him any kind of ego injury—the narcissists discards you. This, by the way, is one of the reasons it can feel so impossible to get out from under the grip of a narcissist—because deep in your gut, you intuit that, as soon as you betray the narcissist, you become the enemy. You become the object of the very same attacks you’ve watched the narcissistic leader launch onto others. They make us feel powerful. One of the reasons it’s so easy to get roped in with a narcissist is they do make us feel safe and protected and, in a way, powerful. Narcissists regularly rise to the top of workplace hierarchies owing to a unique ability to secure approval and admiration, two forms of recognition they need to survive in the way the rest of us need oxygen and water. Worse yet, narcissists are able to ascend to the upper echelons of organizations without revealing their true colors until they amass enough power to make it unnecessary to sustain their façade. Once a narcissist can say, “screw you” with impunity, he will use splitting to cut the legs out from under everyone he previously set-up to believe they were cared for. As we watch a narcissist achieve ends we have dreamed of achieving but have never had the confidence to be able to actualize, we get this false sense that, if we only connect ourselves to this person, we might be able to achieve status, money, accolades, awards, and other markers he has. It gives us a sense of value and power. It’s false power, but it doesn’t always feel false. The fact that Trump has made it this far in this presidential campaign tells me that a surprising number of people in this country feel powerless. Totally powerless. People who aren’t actually powerless feel powerless. And until we wake up one day and realize that we have more power than we ever dreamed possible and that with great power comes great responsibility, we will keep clinging to these strong, dangerous, narcissistic leaders. They make us think they have something we don’t have. Like the man behind the curtain in the Wizard of Oz, narcissistic leaders are not necessarily more powerful or more intelligent than any of the rest of us. They are not God. They are just a tiny little dude behind a curtain. But they make a living and life convincing us they are more powerful than we are, and that we need the “thing” they are offering us. But what is that “thing” exactly? The truth is—if we stop to think about it—they don’t have anything we don’t have. In fact, if anything, we have something they don’t. People with narcissistic tendencies are drawn to such empathic, deeply feeling people and know that, on some level, they personally are lacking in emotional depth and substance. By being in a relationship with such a nurturing, loving person, the person with narcissism is able to consume that person’s authentic love and extract narcissistic supply. Once fed over the course of days, weeks, or months, the person with narcissism is satiated and may grow bored with his or her partner. He or she must secure the supply of another target, usually in short order. We have to remember two things. First, just because narcissists think they have something we don’t doesn’t mean they do. And second, it is our fragile egos—our fear of failure, fears of inadequacy, etc—that are drawn to narcissistic leaders, not our true nature. Our true selves long for connection and compassion and human relationship: something narcissists are simply incapable to offer. It’s important to understand that while narcissists seem to be on top of the world when they’re at their best, when they’re true nature reveals itself, it is incredibly destructive. It ruins businesses and families and destroys relationships and lives. The empire will fall. It’s not a matter of if, but when. Do you want to be on that ship when it goes down? One of the many dangerous tendencies of a narcissist is that he cannot control his propensity to rage. You might not notice this at first, but a true narcissist is addicted to the adrenaline rush he or she gets from acting angry. It defends against his shame and powerfully controls his “other”. At first their rage will be indirect, aimed at someone else. This demonstration of their power functions in such a way that it serves to intimidate and control others, including you. You are also likely to witness physical outbursts, like demonstratively putting their fists through a solid wall, breaking or throwing things, hurling abuse; and it won’t be too long after that when you will be on the receiving end of the violence. All of these tactics, along with their scathing criticism of you, are designed to erode your self-esteem, your confidence, and give them even more control over you. The more fearful you become, the more they will rule by fear, it is as if their power is an aphrodisiac to them. As a result of the fear you will be subjected to, you will find yourself becoming highly vigilant, nervous and overly sensitive to every threat, walking on eggshells around your captor. The more insecure you become, the more powerful your narcissist becomes. You will become highly vigilant, nervous and overly-sensitive. How ironic that you were first drawn to the narcissistic leader because he made you feel safe; but now that you’ve been in his grips, you feel more afraid than you’ve ever felt before? You might wonder to yourself: what happened to me? The person you once were seems to be a distant memory, just as Echo became a mere “whisper of herself” in the Myth of Narcissus, you too are becoming a mere shadow of your former self with each day that passes… In time you find yourself with nothing to say, you are becoming something you despise…Your sense of worth and esteem is so eroded that you begin to believe that nobody else would want you…Your only goal in life now is to fulfill your narcissist’s sense of entitlement, to live by their rules and laws, and keep your head down to avoid being punished at a whim. With this loss of individual expression, we lose EVERYTHING. We lose passion, vitality, creativity, energy, innovation, and all the very things that make this world beautiful and life worth living. Pay attention to where narcissists are in control and notice that there is no room for anyone to be anything other than what the narcissist needs them to be. They take up all the space, all the air in a room, so often those around them feel they can’t even breathe. The empire, the control, the false sense of power—they might seem appealing in their own strange way. But it is a house of cards that will come tumbling down. I need to be careful not to oversimplify this because breaking free from a narcissistic leader can be incredibly challenging. In fact, with a true sociopathic narcissist, getting out from under his or her grips might put you in actual danger. Recognize the traits of narcissism—until we begin to recognize the traits of narcissism and get really honest about where and how they are playing a role in our culture and our lives, we won’t be able to escape from the narcissistic drama. Author Steven Burglas says in his Forbes article, “never delude yourself into believing the narcissist enjoys your company. He wants you to feel “special” so if he needs you, you’ll respond like Pavlov’s dogs.” I would say this is one of the first steps to unfollowing a narcissist: getting honest about how he really feels about you and what is actually happening. Deal with your own feelings of powerlessness—getting honest about the traits of narcissism, of course, can’t happen if we aren’t also willing to confront our own feelings of powerlessness, deserved or undeserved. The truth is most people who get sucked into a narcissist’s grasp because of feelings of powerlessness aren’t actually powerless. Some are. But many aren’t. A healthy person integrates his or her real limitations and inadequacies with their many strengths and in doing so is able to embrace the true power he or she has always had. Understand the cycle of abuse—understanding the cycle of abuse and how it works will help you see how you were implicated into the narcissist’s grips, and therefore how you can get out. This doesn’t promise to be easy. You will face consequences. But the consequences of staying are much, much greater. Also, if the thought of leaving feels impossible remember that if you don’t leave, they will eventually leave you. No contact—Because of the cognitive dissonance that occurs when you’re in a relationship with narcissist (what’s truth becomes fiction), the only way to get back to reality is to do what licensed therapist Andrea Schneider calls going “full no contact” with the narcissistic leader. This means unfollowing on social media, un-friending on Facebook, and cutting off any and all other contact with this person. Finally, you need a strong support system filled with people who are honest, authentic, good listeners and who see true power for what it is—something we find inside of ourselves when we stop trying to compete and perform and learn to love, serve, receive, connect and forgive. Thanks for this, Allison. Reading about the narcissistic abuse cycle and the reasons we tend to fall for it really helps me make sense of a terribly painful relationship ending, and it’s a good wake up call to embrace my strengths and God’s grace, and stop looking to other people for strength or safety or protection! That’s awesome Lindsey! I’m so glad. Thank you for reading. Thank you for collecting these insights and strategies. I think I recognized a person in my work life who regularly makes my day miserable. 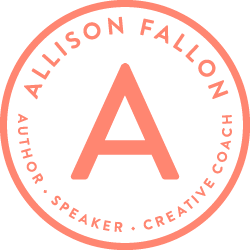 This phrase resonated strongly with me: “You will become highly vigilant, nervous and overly-sensitive.” Thanks for taking the time to write this, Allison. Thanks Bruce. That phrase was a huge one for me, too. I’m so glad this helped you make sense of that hard relationship. Hopefully you can find a way to go “full no contact”! I recommend anyone and everyone read the excellent book “The Narcissism Epidemic: Living in the Age of Entitlement” by Jean M. Twenge and W. Keith Campbell. Thanks for that recommendation, Keith! Sounds interesting. I’ll add it to my list too. It’s so interesting how you tied in Trump’s tactics to that of a manipulative relationship. It just raises questions: is America in a manipulative relationship with its leaders? Why are we so willing to give our hearts, minds and loyalties to other people who seem to have all the answers and solutions and competence? I don’t know if they were narcissists, but I used to follow very aggressive, black-and-white sort of faith leaders (from a distance – I listened to their podcasts and watched their videos, but no one I knew in real life came close to their dominant style). I think the main appeal was they seemed authoritative (I was young and really hungry to take in anything) and the most passionate (black and white thinkers always APPEAR to have more conviction than intellectually authentic people who embrace not having all the answers). Eventually, these leaders really started to turn me off. You start to notice that the “culture” they create is toxic, their followers criticize and draw lines between who’s in and who’s out. I remember one day showing my mom one of these pastor’s videos, and after less than 30 seconds into it, she shook her head, walked out of the room and said, “Life is too short to listen to stuff like that!” My mom is a wise, and otherwise accepting and positive person. So to see that kind of reaction really struck a chord with me. Life is too short to spend arguing about who’s in, who’s out, who’s evil, who’s to blame for America’s problems. It’s too easy to compensate for a lack of creativity, compassion and optimism with defensiveness, dualistic thinking and power-wielding. But that’s the level at which Trump and many pastors and Americans live. Yes, the appeal of the authoritative personality is real—both in the faith world and outside of it (like you, I’ve seen a lot of it in the faith world). Certainty can feel really safe. The problem is certainty is rarely real. There are very few things we can be certain of in this life and, when taken to an extreme, this kind of black-and-white thinking can become manipulative and controlling and dangerous. Such a great point. I’m glad you added it. Thanks Amy. Let’s not assume that narcissism is a distinctively male trait. It looks different on different people, but it can be every bit as destructive. Yes! Such a good point about narcissism not being a definitively male trait. I found myself, as I was writing this, continually saying “he” every time I was talking about the narcissist (revealing my inherent bias assuming narcissists are more often men). I’d love to do some research about this to see what the gender split for narcissism actually is. But based on my experience, you’re right that narcissism simply shows up in women differently than it does in men. Thoughts to ponder. Thanks Gary. I’ve worked for/with a narcissist for NINE years now. It’s only in the last few years I’ve recognized it. Unfortunately, even after many months working with an executive coach specializing in teamwork and conflict resolution, I see things are unlikely to change. One of the most sobering points of your post is the reality of ‘No Contact’. In my personal experience, I now see the only true way of dealing with a narcissist is to leave the situation. A few years ago we hired a new employee: bright, ambitious, humorous, hard-working. Within a year they had left. In retrospect I see they recognized a situation that would not change and – three years later- they have been correct. Predictably, this person remains an ‘enemy’ of my co-worker (as does all of those who don’t fall under their power and influence). It is important for everyone to know narcissism is a personality/mental disorder – not simply an attitude. Unless a narcissist has a profound self-realization or life-changing event motivating them to be different AND professional counseling – they will always be a narcissist. So even as I have learned to recognize the traits of narcissism, deal with my own feelings of powerlessness, and recognize the cycle of abuse – others in my organization have not. The toxicity will continue despite my personal realization because this person has ample audience to serve their needs. I agree – the ship IS going to sink. It is just a matter of when. I’m not sure what the future holds as far as how long I will remain or where I am going to go. But I know ‘going’ is the only solution. Wow, this is amazing and heartbreaking. Heartbreaking because it’s amazing how much of your life a narcissist can steal before you wake up and go, “woah! Why am I letting you do this?” And amazing because you have come to the realization that victims come to right before they escape which is simply, “I can’t let this go on forever”. All the best to you. Sending love and strength and light and prayers your way. A good article with important insights about the current state of our society. However, it would have carried more weight for me if you had not just singled out Donald Trump as an example of a narcissistic candidate but had included Hillary Clinton and Bernie Sanders. All three of our top candidates this year exhibit similar narcissistic characteristics. Each, in their own way, appeals to the basest of instincts in their followers and elicits similar Pavlovian, unthinking, and intolerant responses to those who see things differently. It is a truly scary situation. The ugly truth is that we have become, largely, a society of entitled victims looking for someone or something to blame for our personal failure and someone who will take on and defeat our oppressors for us. Some see the inequity of wealth distribution and blame the rich and look for someone to change the system so they will get their ‘fair share’. Others focus on perceived disparities and oppression based on race and gender and look for someone make things better for them. Still others look at the ineptitude and incompetence of political leaders and look for a ‘successful’ outsider to save them. My purpose is not to get into a lengthy and heated discussion about the candidates and their platforms or the state of our current political culture. There is some truth in each but there is much fallacy also. I simply want to point out that by failing to include all the candidates you have turned an article about an important issue into a political hit piece. I have to agree with you Larry. All the candidates leave a lot to be desired. While Trump was certainly not my first choice as a Republican nominee, I will give him the chance I would never give to his assumed opponent (the other dangerous narcissist). I appreciate much of what was said in this article, but by directing it against Trump, it seemed to come across as just another political piece. Larry—thanks for sharing. I’m glad it’s not your intent to get into a lengthy political argument because it’s not my intent either! Mostly because I don’t feel qualified. Thank you so much for writing this, Allyson. As the eldest child of a narcissistic sociopath who most frequently shape-shifts into the quintessential “church man” who has been relentlessly victimized by his wife (allow me to firmly assure you that the opposite has been the case for at least as long as I’ve been alive–I’m nearly twenty-five) and now his children (again, antithesis to the truth), this hit way too close to home, for which I’m grateful. The two hardest parts about this are that 1) you cannot force a person with this sort of psychological and spiritual* problem to get the help that they need because often it takes a great deal of effort to convince them that something is gravely wrong in the first place, and 2) it is difficult, if not impossible at times, to effectively communicate to others that they have been swayed by such a person. I think that an appropriate (and perhaps most difficult) step of action to take on both counts would be to pray for the person and those affected by him/her. I can’t say that I’ve been doing well with the former (right now it’s more like, “Lord, please help me to want to pray for this person with an attitude of grace, compassion, and forgiveness, the likes of which You extended to all of humanity on the Cross.”), and only slightly better with the latter as those most affected seem to be the leadership in my church, which has prevented any action from being taken. It is under these circumstances that I find myself having been easily embittered. I am pocketing this article for reference, as I have so many others… Hopefully–prayerfully–the empire will fall very soon. I and my family are weary and in need of rest. Thank you, once again, for helping make strides in drawing attention to the ever present people with this poisonous characteristic. Michelle—so sorry to hear you have been so closely affected by a narcissist. But it seems like you have the right idea. The one thing I want to add is that forgiveness tends to be best sought and found after you’ve gone “full no contact” and created strong enough boundaries to avoid being abused further. But what you said about praying for the person who hurt you can be really powerful. As long as praying for them doesn’t require you to ignore the damage they’ve done or continue to put yourself in harm’s way. Thank you so much for sharing your story here. I really appreciate it. I think you were right to emphasize “unfollowing” the narcissistic leader vs challenging them directly. Narcissist’s value power (because deep down they feel so weak), so being powerful with them is critical, but it’s also challenging and dangerous too. They can easily be injured (thin skins) and once their shame is exposed their rage will often require cutting you off or destroying you. A classic archetypal picture of this power battle was Yahweh/Moses vs Pharoah. Think of how it escalated in demonstrations of power until Pharoah relented, only to then see Pharoah pursue Israel again to the Red Sea and face his ultimate destruction. For most of us, a safer & cleaner route is to just disconnect. Quit the job, separate yourself from the relationship, move away, and so on. But if you must confront the narcissist, always do it with power (a strong support system, legitimate authorities, strong boundaries, etc.). I enjoyed reading your article on narcissism. As others stated in this comment section, it would have been more profound if you didn’t politicize it by singling out one Presidential candidate and included all of them. Hillary Clinton and her husband and the current leader by the name of Obama are the most narcissistic people in government right now. People follow these people because the government has taught them that they can’t do it on their own. Articles like yours, liberal teachers, and the liberal-agenda media that aren’t truthful or only half-truth don’t help any. If you don’t like Trump, then come out and say you are for a narcissistic Clinton or Sanders and be done with your political piece. Otherwise, talk and discuss aspects of narcissism and keep the names out of it. I would have to say “Go Trump” right now if he is running against narcissistic Clinton. She should be in prison, not running for President. Terry—I suppose you’re right about politicizing it, only because I’m not prepared to get into a political argument. Being totally honest, to me, this is not about politics at all, but about how blatant and extreme Trump’s narcissism seems to me. But of course we all carry inherent biases into the world, and we’re seeing other’s behavior through that biased lens. I have to admit my own bias toward thinking that narcissists are mostly/usually men (I noticed as I was writing the piece how often the examples I would give of narcissists would be men). But of course, there are women narcissists too. It’s just, as another commenter mentioned, their narcissism looks different. This is so helpful. Thank you for adding this—especially the part about how to confront a narcissist (if you must). Nice job, Allison. I invested fifteen years of my life into first one and then another narcissist, thinking I was growing stronger, only to end up discarded and emotionally bankrupt. Their attraction is the real deal. I’ve overcome the damage, but it took years. Think for yourself, people. You’re as valuable as anyone on the face of the earth. Find your gift and live it! Francis—so glad to hear you’ve found your way out and been able to overcome the damage! That’s an incredible accomplishment. Wishing all the best to you. Great article! What does “splitting” mean? Splitting is a psychological term that refers to the way narcissists (and others) will paint themselves as purely good while their detractors are painted as purely evil rather than seeing their own flaws and their opponents good qualities. As an example think of insular groups who view their opposition as evil while seeing themselves as purely good. Since politics have been brought up many times in these comments, perhaps it is instructive to look at the ways that both republicans and democrats often speak of the other side. Locally, this is called “Shining his Stupid Ray on you”.